The Zonta Club of Grand Island is marking an important anniversary, and we’re an extending an invitation for you to join us in celebrating our 60 years of advancing the status of women through service and advocacy. Here’s our Save-the-Date card. Mark it on your calendars and contact us for tickets through our information below, or through any Grand Island Zonta Club member. 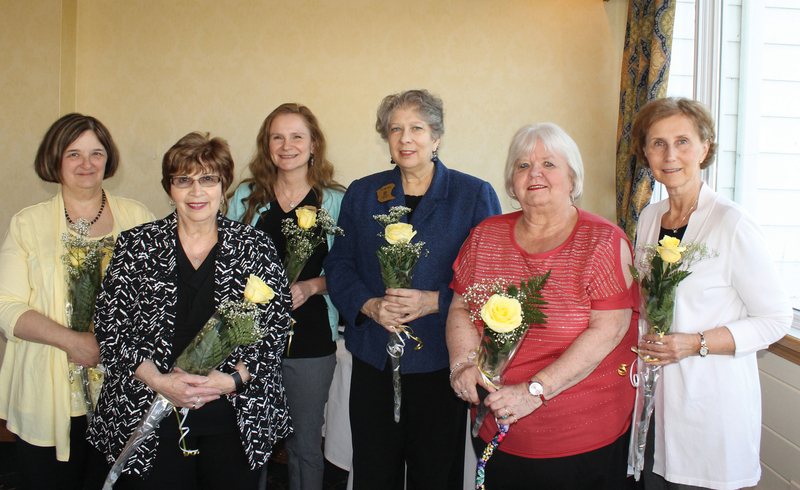 The Zonta Club of Grand Island installed officers for the 2018-19 term in a ceremony held May 8, 2018 at the Buffalo Launch Club. From left are: Area Director Karen Fritsch, who conducted the ceremony; and new officers, President Maria Burns, Secretary Donna Monaco, Vice President JoAnn Hall and board members Barbara Nowakowski and Ricki Harper. Officers not shown are Treasurer Linda Isenhart, Assistant Treasurer Susan Fleming Brusino and two-year board members Dr. Stacey Watt and Elizabeth McPhail. • Doors open at 11:30 a.m.; Luncheon at 12:30 p.m.
• Fundraiser for our women’s scholarships. 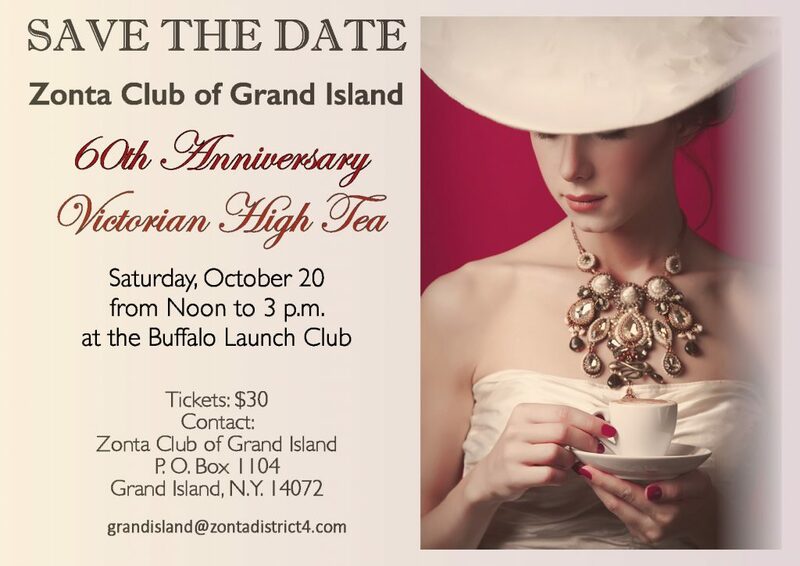 • Buy tickets at: Flower A Day, 2119 Grand Island Blvd., Grand Island, N.Y. 773-4252 or from any member of Zonta Club of Grand Island. What seems like the endless winter now carries a promise of spring, with Zonta’s upcoming Fashion Show & Luncheon. The event starts at 11:30 a.m. Sunday, April 29, at the Buffalo Launch Club, 503 East River Road. Fashions are by Dressbarn at Fashion Outlets Niagara Falls USA. Models are Zonta members, family and friends. 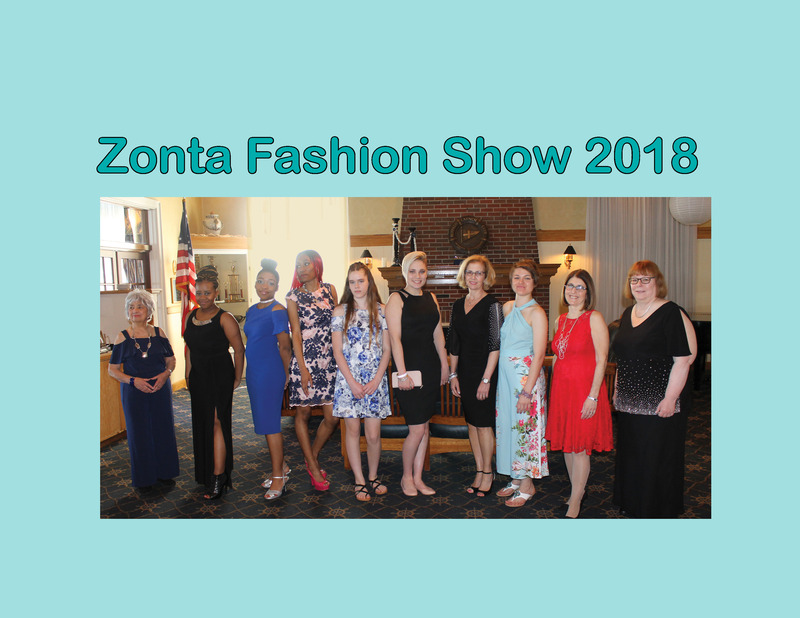 “It’s always a delightful afternoon, with a delicious lunch and chance to socialize and win prizes, all the while supporting Zonta’s work to empower women and help the community,” said Zonta President Karen Keefe. There will be a theme basket raffle, money tree and a special raffle of many valuable items donated by area businesses. Tickets for the fashion show are $35 and can be purchased from any Grand Island Zonta Club member or at Flower A Day, 2119 Grand Island Boulevard. 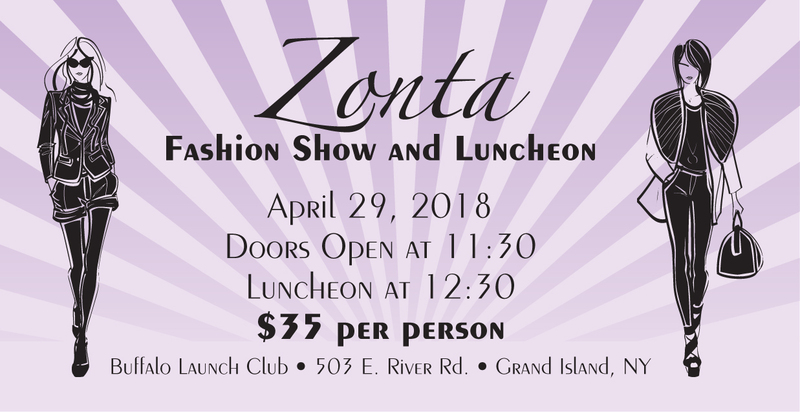 The fashion show is the major fundraiser for Zonta, which will be awarding scholarships this June to four Grand Island women. To date, the club has awarded more than $120,000 in scholarships to local women. The success of the fashion show helps ensure that the scholarships will continue to be funded, as women continue helping other women in the community. Zonta is a leading global organization of professionals empowering women worldwide through service and advocacy. As such, the local club takes seriously its mission to work for a world in which women’s rights are recognized as human rights and every woman is able to achieve her full potential.